Does the System Data Collection Sets have to be enabled as well? 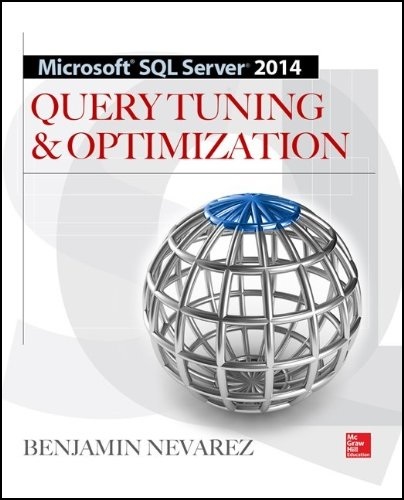 Or is Transaction Performance Collection Sets sufficient? . 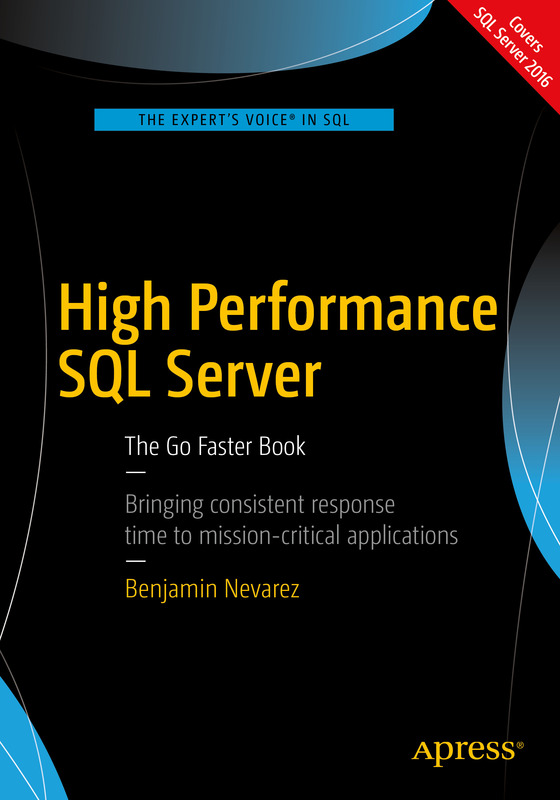 Because although for Stored Procedures Based On Usage I get procedures for my database, I get No Data Available for Recommended Tables Based on Contention when I select my database, but there are results for the ReportServer$SQL2014? 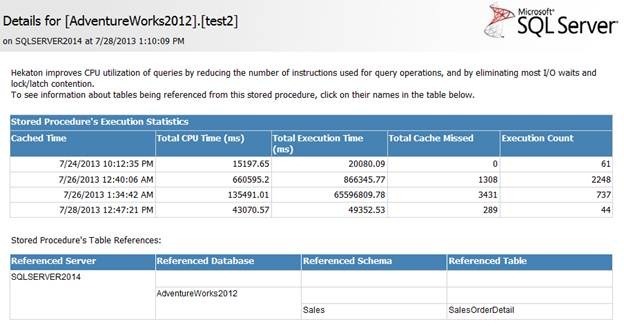 I just tested on another SQL Server 2014 CTP1 instance and it worked without the System Data Collection sets. Perhaps we just have to wait to see if this will be a supported configuration. 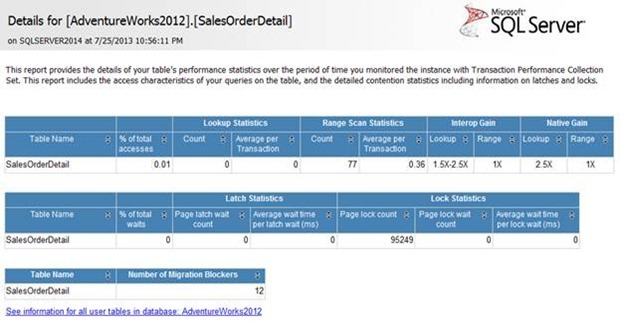 In the Recommended Tables Based on Contention ( this time I used exactly your example with AdentureWorks2012 and EXEC test1 ) the tables now appear but when I click on Sales Order Details I get Error – A data source instance has not been supplied for the data source ‘Scan Details’ . Since this is the same CTP1 , same database, same procedure – this looks strange . Any idea? 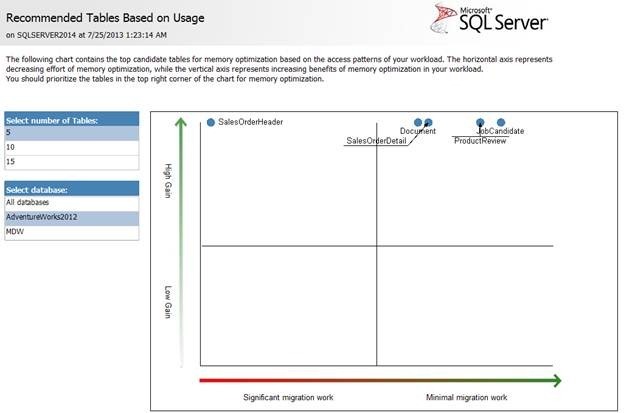 That is a great question: If the purpose of the AMR tool is to help determine if your application would benefit from Hekaton, it would make sense to run it against a previous version of SQL Server. But at least at the moment this tool is only available inside a SQL Server 2014 CTP1 installation and it does not provide the choice to install it on some other instance. I don’t know if this possibility would be available later. 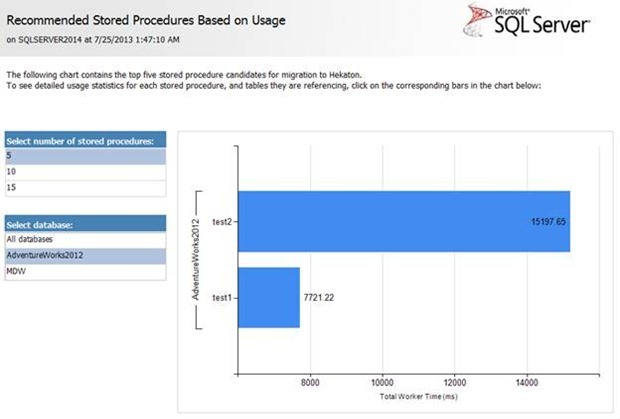 The AMR tool can profile a remote instance in SQL 2008 R2. 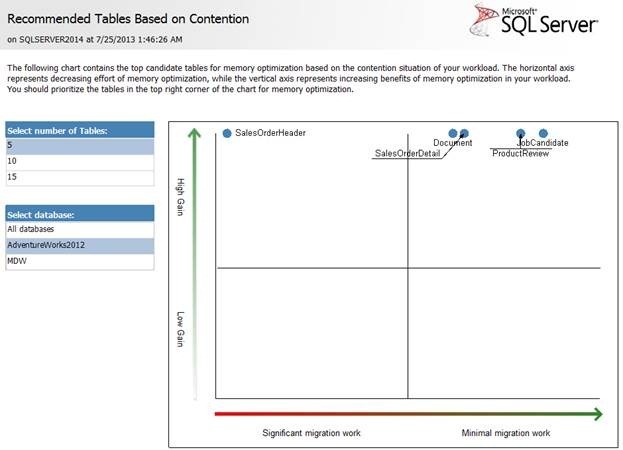 In fact, it should support any version of SQL Server with Data Collection capabilities (that is, SQL 2008 and up). This was a conscious design decision made to give you the capabilities to monitor your existing installations. 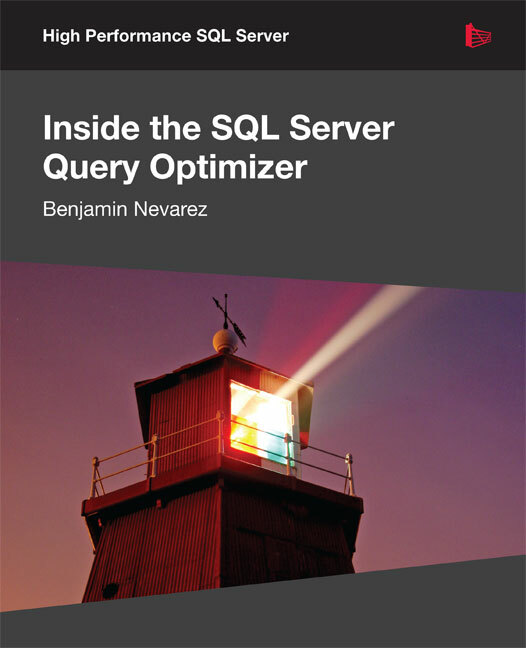 To collect on a remote instance of any supported SQL Version, simply connect to that instance on the first screen of the wizard. 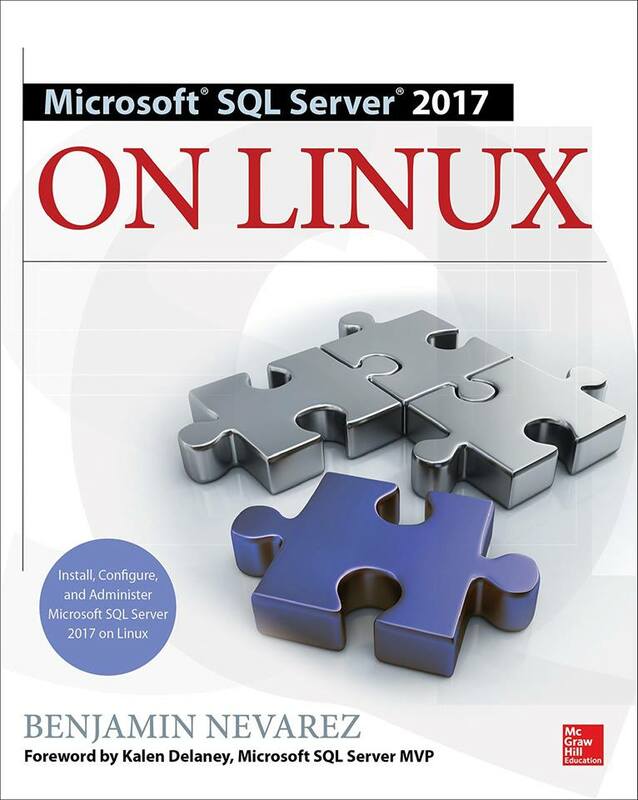 You will then need to check the check box “Use a SQL Server Agent Proxy for Remote Uploads” at the bottom, and set up the necessary credentials and proxies you need to conduct this remote collection. 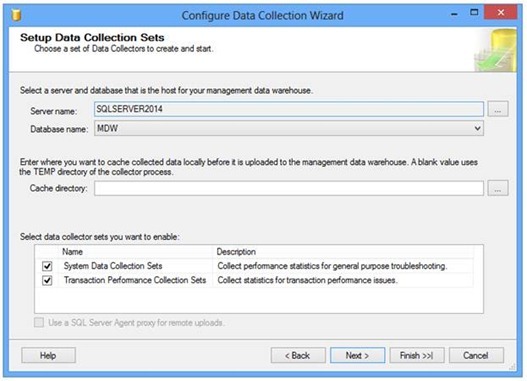 You can also connect to your instance and conduct local collection with the SQL 2014 CTP1 SSMS much like you do on a SQL 2014 CTP1 instance. Note, however, that due to the limitations of the AMR Tool’s architecture, the MDW database to which the AMR data collectors are uploading their collected data must be on a SQL Server instance of the same version number or lower. 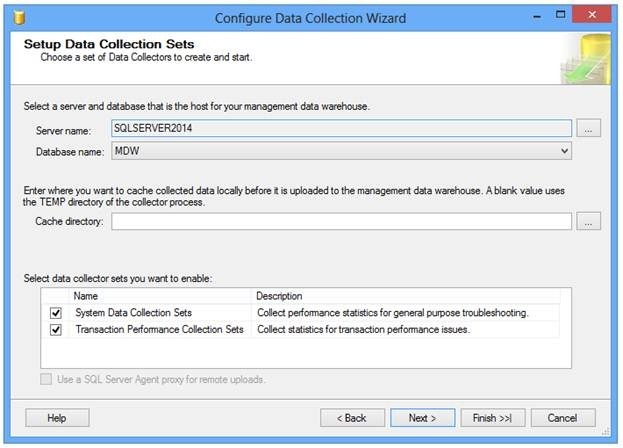 That is, you cannot have your MDW reside on a SQL 2014 CTP1 instance and collect from a SQL 2008 R2 instance. Great! Thanks for clarifying this George. Not sure how to correct that. When I click on ‘Usage Analysis’ The error : A data source instance has not been supplied for the data source ‘ScanOverview’. Any pointers to solve this issue ? facing exactly same issue : A data source instance has not been supplied for the data source ‘ScanOverview’. any pointer to solve this issue please? I select “Use a SQL Server Agent proxy for remote uploads” and I can connect to the remote instance, but I can’t select database in the remote 2008R2 instance. The database dropdown is empty. If I select the local instance, the dropdown shows all the databases.